Maxine Water’s concern has been for just one bank, the Deutsche Bank. This is the only big bank willing to loan U.S. President Donald Trump money for the past decade or so. Waters is concerned about the misuse of mirror trading to launder money from one country to another. Specifically she wants to know if any of that laundered money has benefited the Trump family. Here’s how money launderers located in Russia have been using Deutsche Bank for moving their millions of roubles to the London and New York City during this past decade. Traders at Deutsche Bank in Moscow would accept a few million roubles from one client to buy blue chip stocks in Russia. At about the same time another client in London would sell traders those same stocks for the equivalent price in dollars. Regulators from the U.K. have been able to trace the “cleaned” proceeds of these sales of roubles into dollars to offshore banks like those in Cyprus and the British Virgin Islands. Thus the intention of illegal mirror traders is not to make money. The “investors” involved in mirror trades have often lost money from fees and commissions on this kind of trading. Instead, the purpose of this kind of mirror trading is money laundering— so that illegally earned roubles (dark money) could be turned into legitimate dollars used elsewhere. Altogether about ten billion dollars worth of deals passed through Deutsche Bank before these money laundering schemes in Russia were halted in 2015. Why did Deutsche Bank allow money laundering deals to pass through its banks? Because forex trading was slow, and the Bank’s traders were happy to get huge commissions from these trades. Deutsche Bank itself was deemed not to be at fault for the money laundering it facilitated because upper management could not be tied directly to the crimes committed through its banks. However, in addition to the $630 million dollars that the Bank paid in penalties to U.S. and U.K. regulators, the U.S. Government socked Deutsche Bank with a 7.2 billion dollar fine for the sale of toxic mortgage debt. These penalties hopefully will serve as a major incentive to top management to clean up their Bank’s chaotic banking practices. 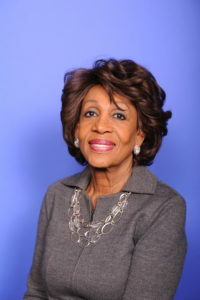 If not, Congresswoman Maxine Waters, head of the Financial Services Committee in Congress, has gained cooperation from Deutsche Bank. And we can bet Maxine will be asking top management a lot of questions about their mirror trading! Hi Nancy; I love your Brucenomics. I always learn something. Reading about Mirror Trades and Dark money is fascinating. Thanks.